OAC aims to be the first energy positive airport city with the capacity to sell surplus energy to surrounding buildings, communities and cities. It will also be able to provide crucial onsite provision such as the de-icing of airplanes. 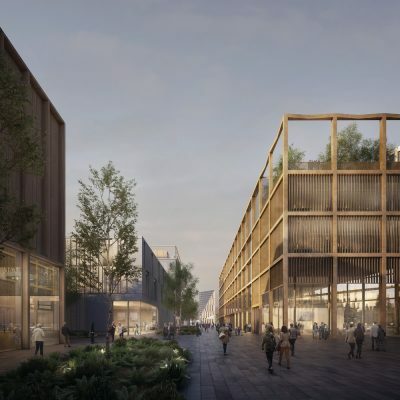 Backed by the Norwegian governments’ green shift from an oil-based economy to one powered by renewable energy, Oslo Airport City will embrace low carbon features and green technologies. 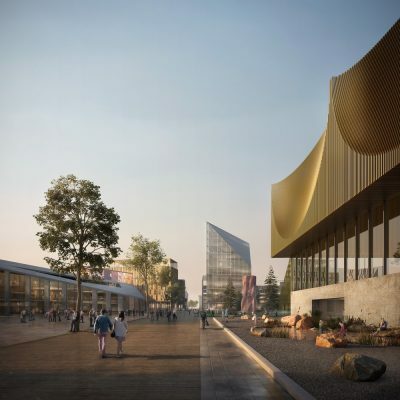 The city will be a test-bed for a technology-driven city, with plans to incorporate driverless electric cars, auto-lighting and smart technology for services such as mobility, waste and security. 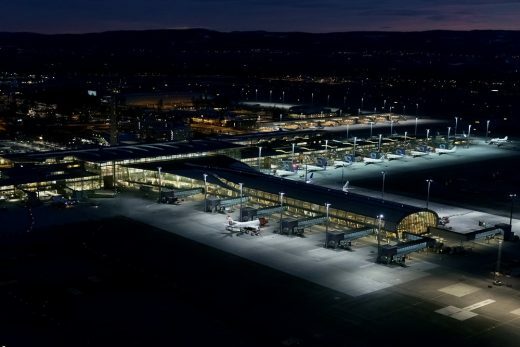 The government-owned Oslo Airport today is the most digitalised airport in Europe and is expected to be the first airport to operate its first electric fleet from 2025. 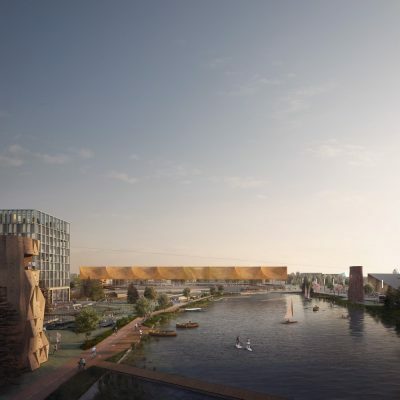 Catering to Norway’s passion for sports and outdoor activities, OAC will be a destination for leisure activities centred around a public park in addition to the traditional cargo and business hub. A car free city centre is planned, and its citizens will never be more than five minutes away from public transport. 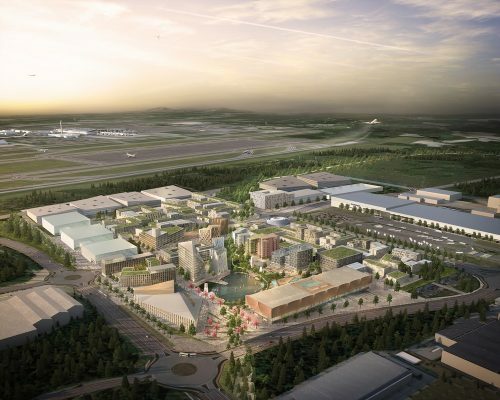 It will also include generous provision of green spaces for the airport’s growing workforce, which is expected to increase from 22,000 to 40,000 people by 2050. 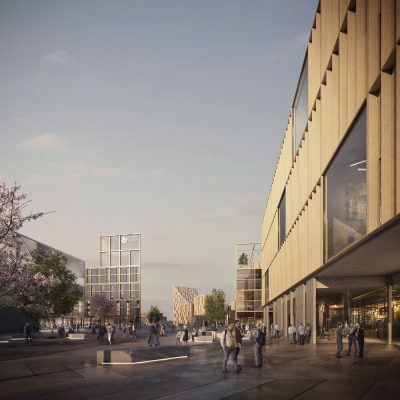 Oslo airport City has received outline planning consent for development and some of the areas have detailed consents. Construction of the first stage is expected to start in 2019/20, with the first buildings completing in 2022. Oslo Airport City is a development vehicle, set up for the development of a new and better city situated between Oslo Airport Gardermoen (OSL) and Jessheim. 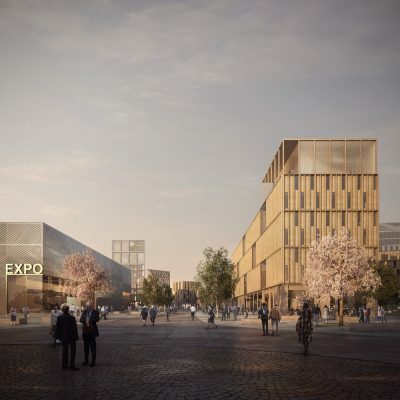 The areal extends to 260 acres of which Oslo Airport City plans to develop over 1.000.000 square metres into mixed use real estate, including hotel, expo, offices, logistic, retail, housing, leisure and cultural. 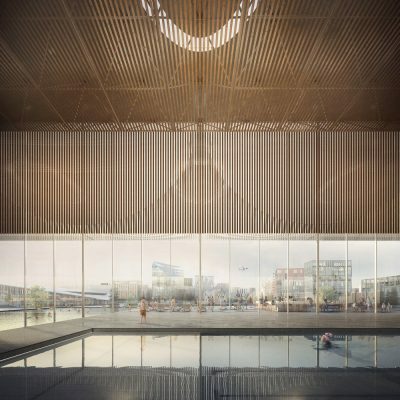 The company’s vision is shaped by Norway’s and the wider Oslo region’s resolution to develop in the coming years vibrant city hubs around Oslo with good public transport connections.